It’s almost holy week when we got to Guimaras and they’re preparing for the wave of pilgrims and visitors. It ‘s not anymore allowed to climb up the cross but it’s okay. From the top, we can see the whole of Iloilo, and it’s already an amazing sight. Tip: Bring something to pull your hair up if you don’t want a messy hair in your photos like me! Haha. Recognized by the Guiness Book of World Records as The World’s Smallest Plaza. It features a status of our national hero, Jose Rizal. I didn't expect this to be part of our itinerary but it’s one of my best experience so far! Kuya Cherald brought us to a shooting range. It was my first time to hold a gun and I even get to fire it! Woohoo! We were taught about the proper handling of a gun (with one hand! ), how to use it in practical self defense and responsible ownership. I am still confirming with Kuya Cherald the name of the place and the people who assisted us but they are wonderful! They explained well and emphasized the use of guns for practical self defense. Guimaras is known for their world class mangoes. In the tourist center, you can find various mango products like the yummy mango tart and purees. The museum was also closed when we got there. I don't think it ever opens. Haha. I remember Kuya telling us that it's under renovation. Now this man, according to Kuya Cherald, has no name. He is just a representation of the livelihood of the people of Guimaras, Fishing and farming. ... but we did not went here. Just another overlooking the super white beach! Most fun for me is the trip up the lighthouse. Woohoo! I love the wind and the height! It looks like Rye is so cool in this photo but before this, he's screaming with tense and could not move at all. Hahaha. 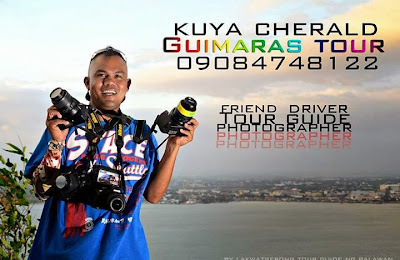 I must say that our Guimaras trip would not be as enjoyable if not for Kuya Cherald, the most sought-after (naks!) driver/tourist guide/photographer in Guimaras. 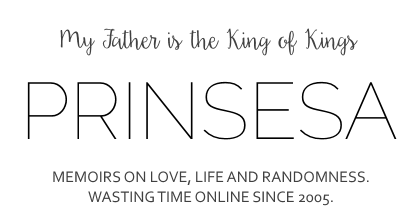 I read about him, of course, in Adaphobic’s blog. I booked him a month in advance, and I’m very happy that he’s still available on our date of visit. A week before our visit, he even called to us to confirm our schedule. The day before our trip, while we were still in Iloilo, he called to ask if we would mind if to have someone join our tour. He couldn’t say no to her since he’s a friend and fellow blogger of Ada of Adaphobic’s Blog. We didn’t mind of course, because it meant we will share the fees. Hehe. But on the day of our trip, they realized that we have different itineraries. I'm so happy Kuya Cherald still went with us even though he's a "friend" to this other visitor. A man with integrity could really get to places. Grabbed from Kuya Cherald's Facebook. We're going back next March and we'll definitely go with him again. I hope he's still available!